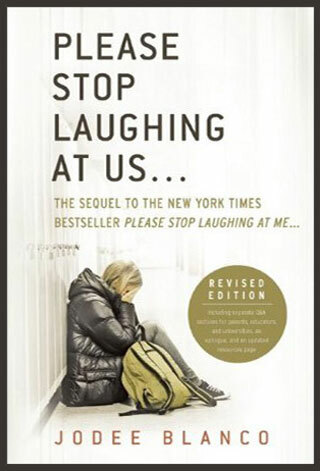 Please Stop Laughing at Us… The Sequel To The New York Times Bestseller “Please Stop Laughing At Me”. 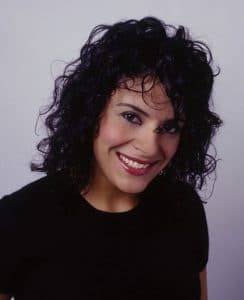 With her New York Times bestselling memoir Please Stop Laughing at Me… the shocking story of how she was tormented by her classmates from elementary through high school, Jodee Blanco sparked a landmark movement in our nation’s schools. In this compelling sequel, she responds to the demand for more information from teens, parents, educators, and other adult survivors like herself who have come to know and trust her as the champion of their cause. She provides advice, answers, and solutions, set against the dramatic narrative of her own deeply personal journey as the survivor who unexpectedly finds herself the voice of America’s forgotten students. Persuasive and enlightening, this is the definitive work on school bullying, and the story of America’s rejected youth from the perspective of the one person with unprecedented access to the truth about what’s going on in our schools. Travel with her as she witnesses the apathy of teachers and administrators who ignore students in peril, and celebrate with her as she meets adults in the school systems who are risking everything for their students. The author exposes both the strengths and vulnerabilities of a nation too clouded by empty rhetoric and self-defense to understand the crisis that is crying out to be addressed. In the new edition, available now, Jodee includes an updated introduction, separate Q & A sections in the back of the book for parents, educators, and universities, along with a deeply personal and moving new epilogue. Adult Survivor of Peer Abuse™-an adult who was chronically bullied and/or shunned by his classmates and who has been scarred by this abuse. Aggressive Exclusion™-the most damaging form of bullying, often used by Elite Tormentors, best defined as a deliberate omission of kindness. Examples include letting someone sit alone at lunch every day, ignoring someone as if he’s invisible, always choosing the same person last when dividing into teams in class, letting someone walk alone to class and never inviting him to participate in social gatherings. The Ancient Child™-the typical profile of the bullied student, best described as an old soul, a kid who’s blessed or cursed, depending upon how you look at it, with a stronger conscience, and a more evolved sense of compassion and empathy than other kids his age. No matter how hard he tries to hide it, in the end, the sensitive, thoughtful adult inside him usually wins out over the teen who just wants to belong. Arbitrary Exclusion™-when a best friend or group of friends inexplicably turns on someone and persuades everyone else in the clique to follow suit. This form of bullying rarely precipitates any specific act, but seems to come out of nowhere, which is what makes it so devastating. Compassionate Discipline Driven by Curiosity™-enlightened innovative disciplinary strategies that help children discover the empathy inside them and develop it like a muscle. Its purpose is to teach children the joy of being kind as opposed to the consequences of being cruel, which is the focus of traditional punishment. Elite Leader™-the caring, compassionate popular student. Elite Tormentor™-the mean-spirited popular student who employs subtle, insidious forms of bullying such as Aggressive Exclusion and Arbitrary Exclusion. Empathy Deficit Disorder™-a chronic lack of empathy that inhibits a child’s access to the compassion inside him. Irreverent Educator™-the teacher with the instinct of an activist. He or she isn’t afraid to stand up to authority or challenge the status quo and will break the rules when necessary. The Reverent Educator is the teacher who respects the rules and prefers established policies and procedures to get things done. Note: Both types of educators are equally vital to the system. One is the catalyst for change, and the other the facilitator, and it’s the blending of the two that makes a school run efficiently. Rejection Junkie Syndrome™-a form of self-sabotage experienced by many peer abuse victims in which a person grows so accustomed to negative attention from his classmates that when they finally do leave him alone it’s like a death, and he finds himself provoking them to bully him again because if he’s being ridiculed at least he knows he still exists. It’s as if circumstances drive him to make a choice between being a no one and being a target. Parents are the wild card when it comes to school bullying. Even the caring, loving ones sometimes feed off the drama and make the situation worse or they let their anguish destroy their good judgment. They can also be overly-protective to the point of smothering. Then, there are those parents who inspire me with their wisdom and restraint and who don’t allow their personal baggage to get in the way of what’s best for their child. All of them are kindred spirits doing everything possible to help their son or daughter only to keep hitting brick walls. By the time they turn to me, many of them are convinced I’m their last hope. I’ve leaned how to cope with the pressure of their expectations and feel honored by their willingness to trust me. It’s the emotionally absent parents that are hard to take. Whether they’re burdened with severe problems of their own or they’re simply self-absorbed, the reason for their negligence doesn’t matter, because it’s always the child who pays the price. Eileen and I have been back on the road for nearly a week. We’re in a gym at a school in Florida. It’s early evening, and I’m about to take the stage for my parent/family seminar. This is always the hardest lecture because by nighttime, I’m weary from having given presentations all day and intervening with kids in crisis. There are some nights when my vocal chords will be ravaged and I’ll croak my way through the seminar. The parent/family seminars are open to the public. Sometimes, like tonight, they’re packed, with people having driven hundreds of miles to attend. Other nights, I’ll be lucky to see ten seats occupied. A lot of it has to do with how aggressive the school district is in spreading the word, and Eileen and I are always grateful to those that make an effort. Typically, the audience consists of adult survivors, educators, and students who heard me speak during the day and who return with their parents at night. Sometimes kids will ask me during the one-on-ones if I’d telephone their mom or dad and urge them to come. Eileen and I always honor these requests. Once in a while, a reluctant parent will surprise us. But some kids still come back alone and I can see it in their eyes how much they wished their parents would take an interest in the pain they’re going through. If those moms and dads only knew how much this small gesture of their time would mean to their child. After the seminar, I always do a book signing, and then sit down with anyone who needs me to listen. I usually start the evening seminar at 7:00 P.M. and rarely get back to my hotel before midnight. Tonight, I’m on edge. Earlier in the day, I met with a large number of students in crisis. Some of them are dealing with dysfunction in their families on top of being bullied at school. Most of these kids aren’t looking for answers as much as they’re seeking an adult to validate their pain. I’m pleased they confide in me, but the responsibility grows more daunting every day. Earlier this afternoon at the middle school, a group of girls approached me, saying that their friend Tammy was in trouble and they didn’t know what to do. When I met Tammy, I could tell something was wrong. She was skittish and unsure. Her friends told her that if she didn’t tell me what happened, they would. “Tell me what?” I asked, growing more concerned. “Go ahead, Tammy,” they pushed. Tammy pulled up her shirt. I gasped in horror. Across her chest down to her stomach, her skin was blistered and peeling from what appeared to be a serious burn wound. “Sweetheart, what happened to you?” I asked, shuddering. Tammy’s eyes filled with tears, but she wouldn’t speak. “Tammy, please, you have to tell me,” I begged. “My sister threw a pot of boiling water at me,” she finally managed. “How old is your sister?” I asked, not sure I wanted to hear the answer. “Go on,” I gently pressed her. This is where I feel as if I’m always walking a tight rope on tour because even if Tammy begged me to keep her confession a secret, ethically and legally I couldn’t, but I don’t want to betray her trust either. “OK,” she answered meekly. Thank God. Please Stop Laughing At Me . . 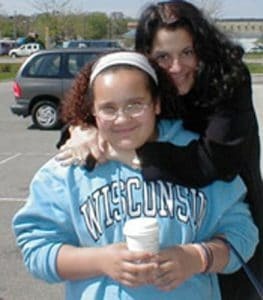 ., Jodee Blanco’s New York Times bestselling memoir about how she was shunned and tormented by her classmates from fifth grade through high school simply for being different, sparked a movement in this nation’s schools and inspired thousands of pleas for help from people who came to recognize her as a kindred spirit. Since its release, Blanco has been responding to those pleas, working deep inside the trenches of America’s schools sharing her still painful experiences to prove that bullying is not just joking around, it damages you for life. Please Stop Laughing at Us… is the sequel to Blanco’s memoir and is the shockingly honest account of that journey. Written in response to the demand for more information from her devoted audience-teens, teachers, parents and other Adult Survivors like herself, who have come to know Blanco as the champion of their cause-it provides advice and solutions set against the backdrop of her dramatic personal struggle adjusting to her new life as the survivor who unexpectedly finds herself the country’s most sought-after anti-bullying activist. In Please Stop Laughing at Us… , Blanco brings readers with her as she crosses and re-crosses the country, occasionally making headlines, from Northern California to Baltimore, Maryland, bringing her anti-bullying campaign to high schools and middle schools. She takes them inside the cafeterias and gymnasiums and vast auditoriums where she shared the story of her painful past to more than half a million students, conducted workshops for teachers and school administrators, as well as meetings with the parents of students who were being bullied and the parents of those who were doing the bullying. In this intimate chronicle, Blanco also lets readers sit in on her one-on-one sessions with the most damaged and frightened victims, some of which became suicide interventions. Blanco also divulges in Please Stop Laughing at Us… how, during her campaign to awaken the American educational system to the danger in its midst and to offer beleaguered students comfort and hope, she made a devastating discovery about the state of public education in America. She found that an environment disturbingly similar to the one she was forced to endure as a student was still being permitted to flourish 25 years later, and worse, that many educators either did not recognize or were deliberately ignoring students in peril. With Please Stop Laughing at Me… Blanco saved lives. With Please Stop Laughing at Us… she will help to save futures. Jodee Blanco is the author of The New York Times bestselling memoir PleaseStop Laughing at Me… . She is also a youth advocate and the creator and executive producer of the critically acclaimed, “It’s NOT Just Joking Around!” anti-bullying program. She lives in Chicago. Why some adults in the school system need to quit their jobs . . . Personal consultations by phone with Jodee for individuals and families are available by appointment. Schools and organizations often schedule consulting hours when booking seminars and workshops. For availability and consulting fees, please contact Jodee.